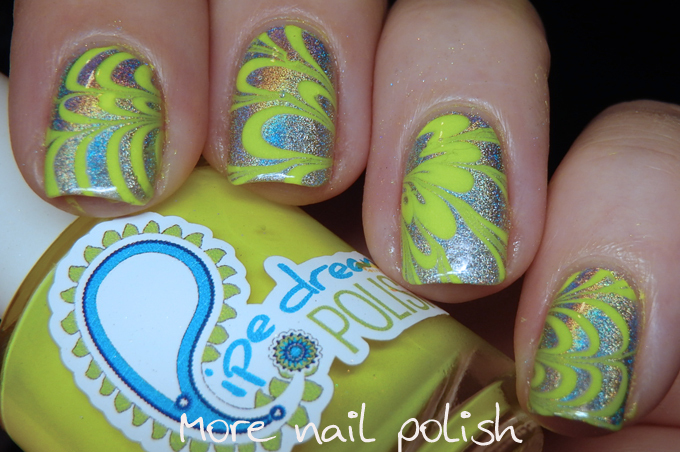 Only two months left on the year long challenge and this week the colour theme is yellow and silver and my personal prompt was water spotted or water marble. 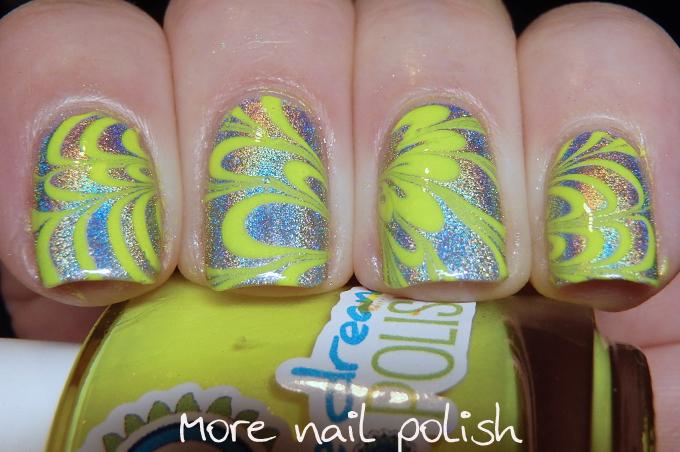 I chose water marble cause I'm now the boss of watermarbles! I started with a base of a silver holo polish, Color Club Harp on It, but I decided it wasn't holo enough, so I rubbed some holo powder into it. 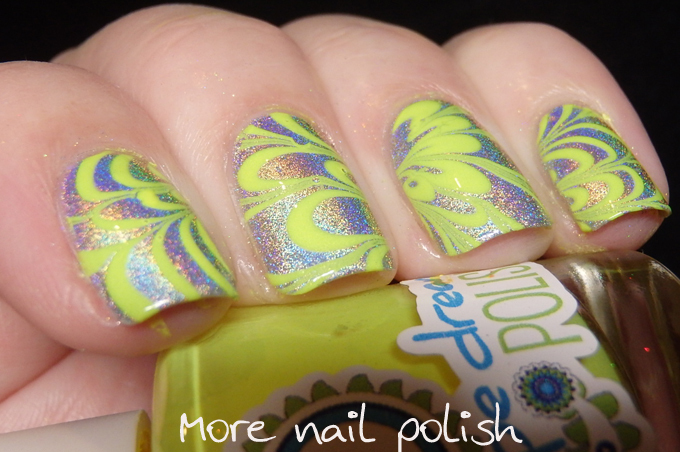 I then did a standard water marble using Pipedream polish On the list and my own Paws polish clear. I was even brave this time and shoved all four nails into the water at one time. I did this on my right hand too. But then I still had to do a marble for each thumb, which instead of using up a whole bunch of polish for just one finger at a time, I did the marble in a tiny little shot glass with only about 6 drops of polish. It was just the right size for each thumb. I quite like these photos, although I have to say this wasn't my favourite look on the nail, something about it just didn't look as good in real life. Love the color theme this go round - and your photos are awesome! It's funny how we're usually saying "these look better in real life" - and this one was the opposite for you. Well, the photos look amazing!